India's one of the largest auto market leader, Maruti Suzuki is planning to launch an another avatar of the country most popular car, Maruti Swift in India. According to the some news reports that the company after the hug success of most popular models range in India including Swift, Maruti A-Star and Maruti Ritz, Maruti Suzuki India Limited is all set to launch upgraded version of most popular models in the Indian market. 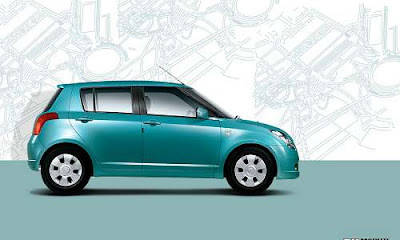 The new 2011 Maruti Swift has got a 1.2 litre petrol engine which is equipped with Dual Variable intake and exhaust valve timing (VVT) and develops 94PS at 6,000rpm. The improved torque is produces to 118Nm at 4,800rpm. Furthermore, the model is also loaded with D13A 1.3-litre diesel engine. The all new Maruti Swift is the latest world strategic model from Suzuki and the model flaunts features like styling, driving performance, impact safety, quality and improved fuel consumption. The lower emissions are also there in this model. A higher strength steel has been used in this model which makes the total car body lighter yet stiffer than before. 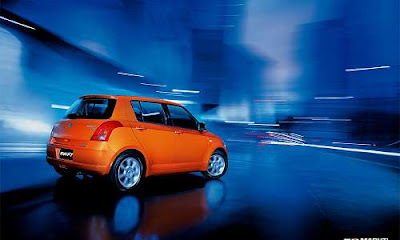 The company claims the Swift, its best-selling model, is much improved dynamically as a result. The front and rear tracks are 10mm and 5mm wider respectively. The Swift's all-new platform increases the wheelbase by 50mm and the overall length by 90mm. Extensive use of higher strength steel has made the new bodyshell lighter and stiffer than before as well as offering refinement in underbody design. Besides, Maruti Suzuki is also planning to introduce a small car, Maruti Cervo soon in India with the affordable price range. On the other hand, Skoda Yeti, Nissan Micra and Tata Aria also going to be launched soon in the country.